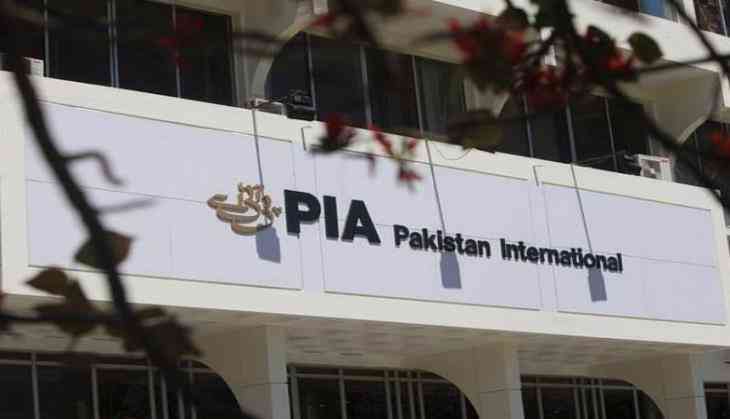 The Pakistan Government is seeking support from lawmakers across party lines to shut down the loss-making Pakistan International Airlines (PIA) by declaring it 'bankrupt'. "Such a recommendation from a parliamentary committee will help the government take the difficult decision that it is otherwise hesitating to take," Dawn quoted Pakistan Prime Minister Nawaz Sharif's Adviser on Aviation Sardar Mehtab Abbasi as saying to the Senate Special Committee on the Performance of PIA. Abbasi laid three options before the committee; either let the airline operate as it is, or declare it bankrupt and lay off its all staff or its complete restructuring. The committee had met on Thursday to discuss the status of its recommendations to overhaul PIA. The committee also took up the incidents that had occurred over the past month that had given a bad name to both the national flag carrier and the country during its meeting. Abbasi said that there had been lack of discipline and accountability in the Pakistan International Airlines (PIA) in the past. He added that the administration is taking measures to revive the national flag-carrier but claimed that it's a not an easy task. However, the committee is not in favour of shutting down PIA altogether. Abbasi argued saying that the top quality people do not come to PIA anymore. He told the committee that the PIA should be run under business models, keeping in view the challenges facing the industry. Abbasi also noted that the airline cannot be run on recommendations that will limit its flexibility to adopt the best industrial practices. But Pakistan Peoples Party (PPP) Senator Sherry Rehman cautioned him that rejecting the committee's recommendations would be tantamount to undermining parliament. PML-Functional Senator Syed Muzaffar Hussain Shah said under the Constitution, the recommendations of the committee were binding upon the PIA and the Aviation Division to implement it. Shah said the 60-day time to raise objections over the recommendations has now expired, adding that any observations should have been conveyed to the committee two months ago when the recommendations were sent to the concerned ministry for feedback. Aviation Secretary Irfan Elahi told the committee that the British government had not officially shared details items seized from PIA flight PK785. "The Pakistani mission in London has been involved to request the British authorities to share their findings," he said. Pakistan's Anti-Narcotic Force (ANF) had detained eleven crew members of the Pakistan International Airline (PIA) at the Jinnah International Airport after they landed in Karachi from London on Thursday for questioning about a 'quantity of heroin' allegedly found in their flight. The ANF questioned the crew members briefly before they were allowed to exit the airport. The crew members of the PIA flight, who were stopped by UK authorities after discovery of heroin from the plane, returned to the country after three days. Citing sources, Dawn reported that an inquiry has been launched into the matter of the heroin found on the flight and CCTV footage from the flight is being looked to find clues as to how the heroin was brought on board. Civil aviation and security authorities in London have claimed that Border Force (BF) officers had found a "quantity of heroin" on board a PIA flight that landed at Heathrow Airport on Monday. They said National Crime Agency (NCA) officials were investigating the case after seizure of narcotics from the plane and that no arrests were made. They said that the investigation is still ongoing, reports the Dawn. The daily also quoted PIA spokesperson Mashhood Tajwar as saying that British authorities had "thoroughly searched" and detained the flight crew after they landed at the Heathrow Airport. Flight 785 from Islamabad to London had landed at 2:50 p.m. on Monday. Upon landing, as passengers disembarked, the flight crew and aircraft were searched by the authorities, the spokesperson said. Fourteen crew members were released after being detained for nearly two hours by British authorities, Tajwar said, adding that no information was given at that time about why the crew was detained.